Optowaves’ DWDM module is designed to de-multiplex or multiplex signals in dense WDM system. 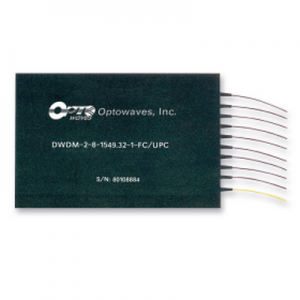 Manufactured by thin-film filter technology and epoxy-free optical path,the DWDM features low insertion loss,high isolation, excellent environmental stability. 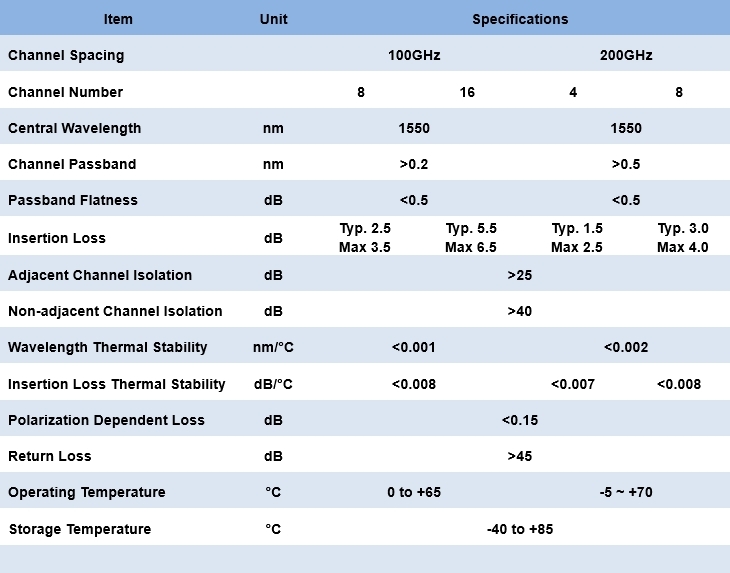 Optowaves’ DWDM has met Bellcore GR-1209-CORE requirements.